Lisa has been part of Dr. Mickey’s team since 1993. She is a graduate of The University of Massachusetts Lowell where she earned a Bachelor of Science degree in Business Administration. She is a Certified Dental Assistant and Certified Dental Practice Management Administrator. Lisa has proven to be an excellent team leader. She is always looking to improve the systems in the office and find ways the team can get involved to support our surrounding communities. 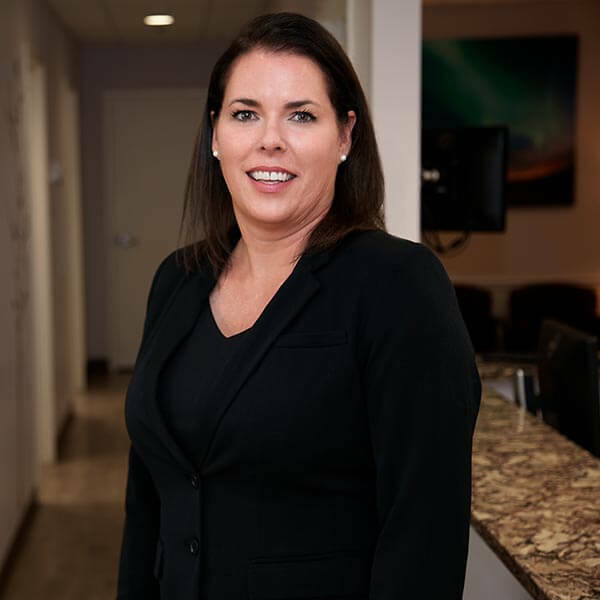 Lisa feels lucky to be working with highly skilled and compassionate teammates to provide the best possible dental care and customer service for our patients. She truly enjoys working with kids, getting to know the patients and watching them grow up! She is a lifetime member of the American Association of Dental Practice Managers. Lisa and her husband John have 2 kids, Dennis and Greta. She enjoys spending her free time with her family, reading and she loves all that New England has to offer!